"Bob, needless to say, you are tremendously talented and we are just thrilled with all of our pictures. Thank you for absolutely everything. After our time together, Daphne and I don't look at you as just our photographer, but as a friend as well. Hope to see you soon!" "Thanks so much Bob for our wonderful wedding photo memories! Kevin and I knew we would love working with you from the moment we met you. We adored the way you just blended into our wedding day like an old friend and everyone there was so impressed with you and your assistant. But most of all we appreciated your help in planning all of the timing details that we would never have thought of, if not for you. You are not only an artist but a wedding planner as well." "You're the best! 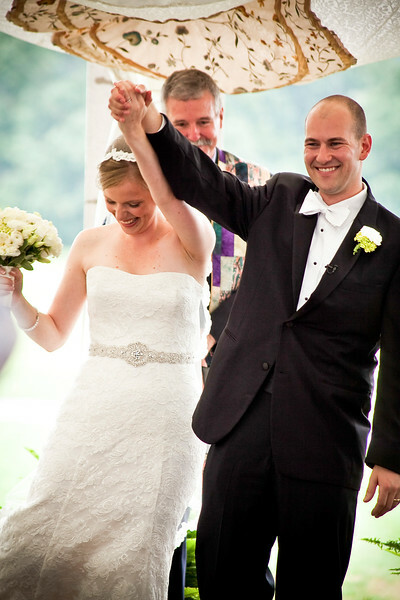 We wanted to have the best Penn State wedding ever, and thanks to you Bob, we did! I just can't get over how talented you are and how well you know all of the campus locations. It meant so much to us that you were there documenting it all and we can't thank you enough for going above and beyond our expectations. And thanks for the Elms photo present you gave us...priceless!" "Bob, we wanted to let you know how happy we are with your amazing work! We could not have asked for more in our photographs. We also wanted to let you know what a pleasure it was for us and our families to work with you. You are truly the best!" "From the moment that we got engaged and decided to get married at our alma mater, we knew we wanted Bob to be our photographer. He worked with us from the very beginning of our planning process to ensure that we were able to create the perfect Penn State wedding. He made excellent vendor recommendations, took beautiful engagement photos, and captured every magical moment of our special day. We have received hundreds of compliments on our wedding photos and we cannot thank him enough for his professionalism and talent. We would recommend him to anyone!" "Thank you Bob. We have spent hours looking over the pictures from our wedding. WE LOVE THEM!! There isn't a "bad picture" in the album; we love them all!! We did a lot of research prior to choosing a photographer, and I'm so glad we did. Working with you has been fantastic from the day we met straight through when we saw the pictures earlier this week. You have perfectly captured the memories from one of the most important days of our lives. Thank you!" "We couldn't have asked for more from our photographer, very responsive, fair prices and dream come true photos." "What an incredible blessing it has been to enjoy you as our photographer! You are such a joy to work with and your talent is a true gift to all of us. We are ever so grateful and we will always think of you so fondly as we enjoy the beautiful memories you have saved for us." "Bob was so wonderful to work with. He captured every single detail of our wedding day and the pictures were absolutely breathtaking. I would recommend his services to anyone...he is so easy to work with and an amazing photographer!" "Bob was very organized, professional, and great to work with! His assistant Alex was great too :) Most importantly, his pictures were absolutely fantastic...we loved them and were so glad we had Bob as our photographer! He got the pictures back to us very quickly...we were impressed!" "WOW!!! The album is amazing!!! We sat down to look at it and didn't want it to end. The book tells the story of our day perfectly. You did an awesome job!!! Thank you so much for all of your hard work. We could not have picked a better photographer... We are so thankful we found you. You were everything we wanted and then some. You are so very talented. Thank you!! "This is Cathy, Lindy's mom. The photos are INCREDIBLE!!!! I have spent two hours this evening just reliving that day through the eyes of your camera. I knew they would be good, but WOW - totally worth the tears! Everything, absolutely everything came together perfectly that day. You made us all look so good and you captured the true essence of La Ferme Rouge at the same time. THANK YOU, THANK YOU, THANK YOU!! You did a beautiful job!" "We received the album yesterday and went through it last night, actually we went through it a few times --- and I went through it again this morning! It's incredible and we couldn't be happier! From start to finish, I don't think we could have had a better experience with a wedding photographer than we had with you, Bob. Thank you so much for all of your time, effort, care and attention to even the smallest details. I speak for both of us when I say it was truly a pleasure." "I thought I would drop you a line just to say the work you and your assistant did was spectacular. When you told us we would be happy with the results, Deb and I could not believe how you captured every memorable moment on Julie and Ken's wedding day. Again, thanks so much for your professionalism and the high quality of your work. If anyone asks who would be a good wedding photographer, I will surely recommend you." "I would just like to thank you for all of your hard work on the wedding day. Everything was PERFECT! I could not have been happier! Everyone in both families was raving about you after wedding. They were saying that your were amazing in every way and they haven't even seen the pictures yet! Again, thanks for making our day so very special." "It is hard to believe that it is a little over a month that we got married; time never seems to stop flying by! Mike and I really wanted to say THANK YOU for all of your hard work and for helping to make our day so special! Everyone was so comfortable with you, and we all know that your pictures are amazing even before any of us see them, as your attention to detail, and the way you can capture every moment is truly a gift. We really cannot thank you and your assistant enough for braving the hot, long day and ensuring that every part of that day, and the people there, were photographed, and therefore, providing us with permanent memories. We cannot tell you how anxiously we are awaiting the beautiful pictures that we know you took! Thank you again from the bottom of our hearts!"